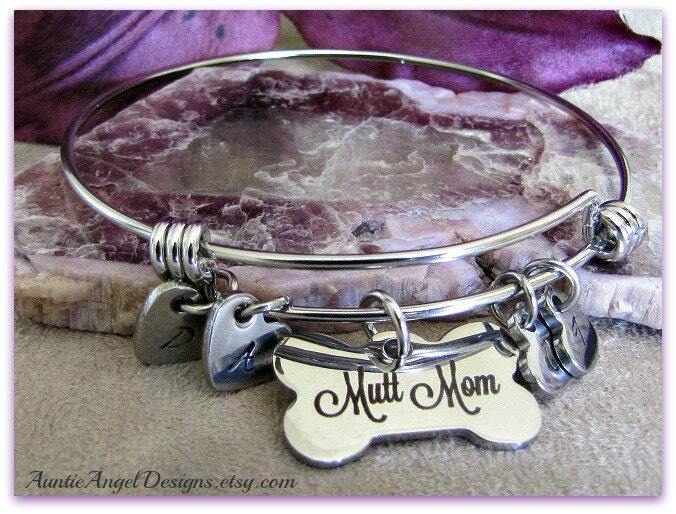 The Auntie Angel Designs exclusive "Mutt Mom" adjustable stainless steel wire bangle bracelet is a fun way for you to show your love for your doggies. Please note the sizes of bangles offered and note that these are approximate measurements for average- to larger-size wrists. PLEASE MEASURE your wrist and choose your wrist size in the drop-down menu, NOT a favorite bracelet (or watch) size. 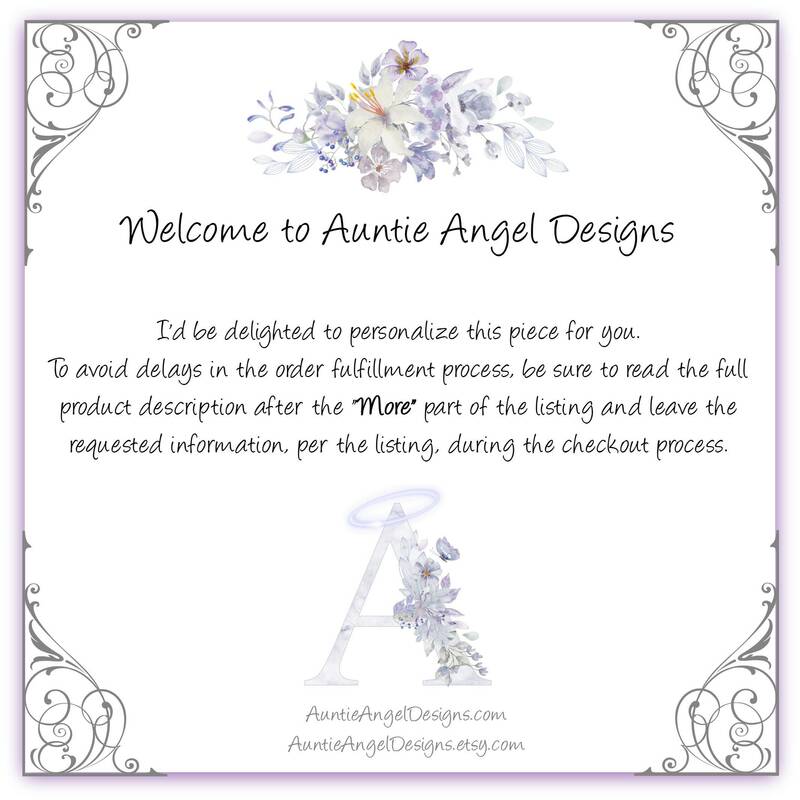 PERSONALIZATION: In the Note to Seller box, please let me know the letters to be stamped on the heart charms. Etsy will NOT prompt you for this information. Also let me know the order you would like your heart monogram charms to appear on your bracelet from the left of the dog bone charm and to the right of the dog bone charm. 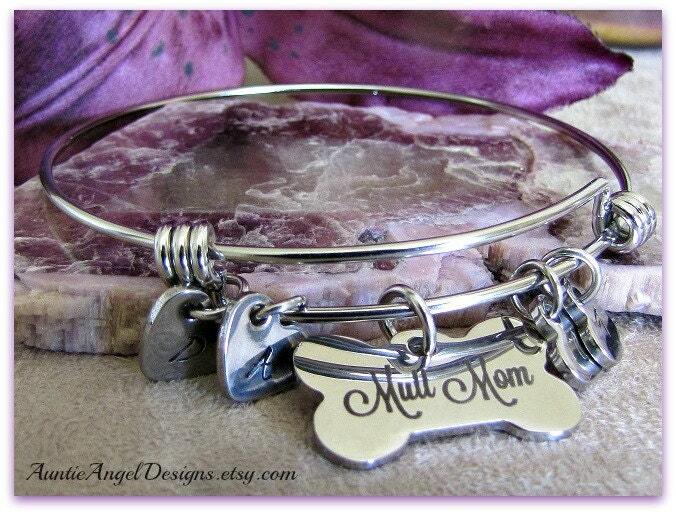 Your custom "Mutt Mom" bangle bracelet comes beautifully gift-boxed with ribbon and is ready for gift giving. 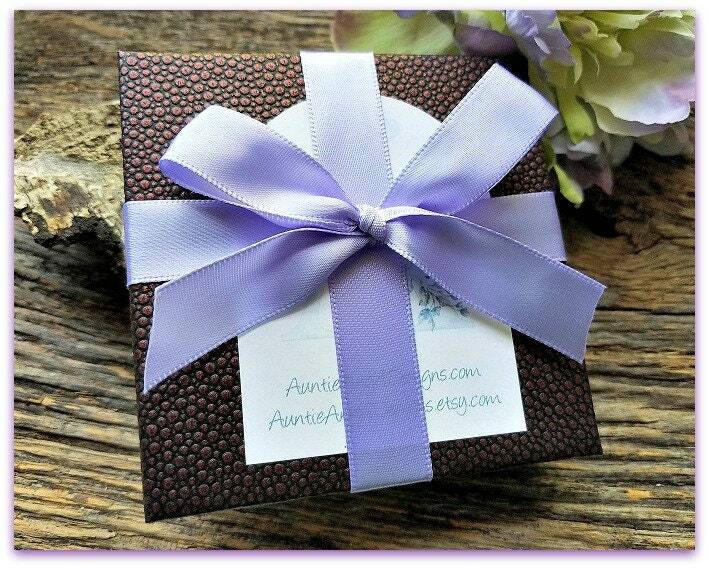 I enclose a blank paw print gift enclosure card and envelope for you to write your heartfelt message if you are giving the gift directly. Please let me know if this is a gift or not.